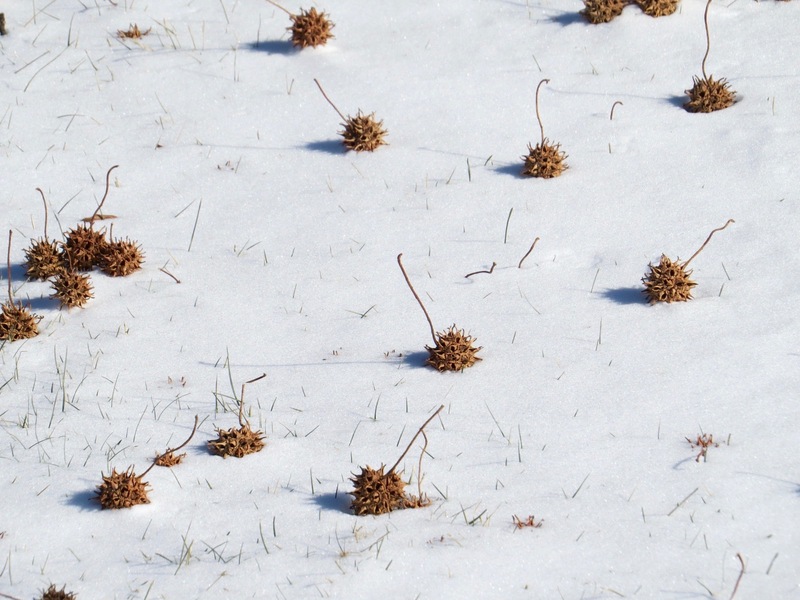 Just a part of one of the large spreads of fallen Sweetgum balls I’ve ever come across recently. 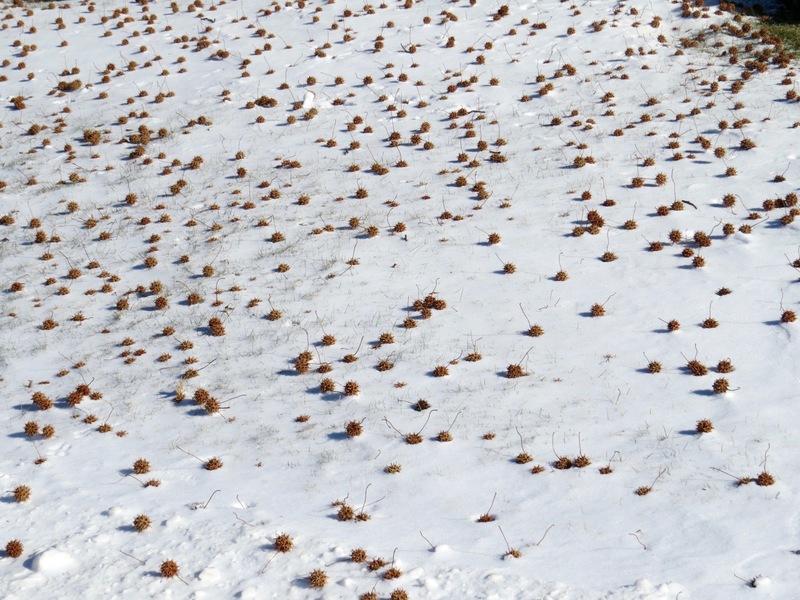 Not pictured here are the Dark-eyed Juncos that were taking advantage of the windfall. 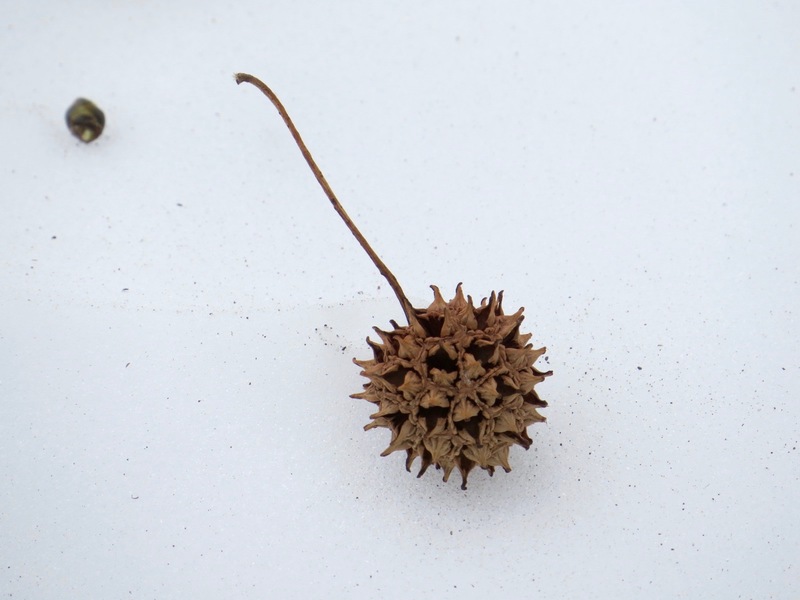 The tiny Liquidambar styraciflua seeds are a big source of winter food for birds.